Luxurious, smooth coffee comes from using high-fat milk or rich-tasting creamers -- the higher the fat, the better. 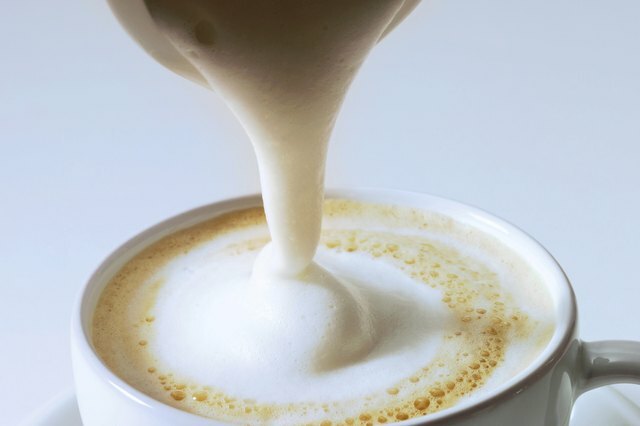 In some cases, though, turning creamer into froth provides a creamy texture with less fat. 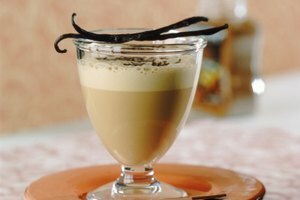 Black coffee has its place as a quick pick-me-up, but when you balance the beverage's bitter and acidic flavors with a rich creamer and a hint of sweetness, you elevate coffee to the level of a gourmet treat. Heavy cream gives your coffee the most creamy taste. It's the same product you use to make whipped cream, with at least 36 percent milk fat. Light whipping cream, with between 30 and 36 percent milk fat, is a close second. 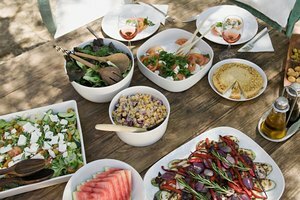 Half-and-half, a mix of milk and cream, with 10.5 to 18 percent milk fat, and whole milk, with 3.25 percent milk fat, are both high-fat products, but they result in a noticeably less creamy and rich coffee than full-fat, heavy cream. 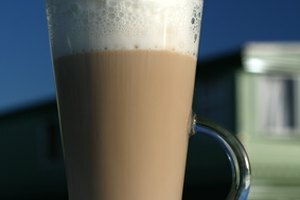 Although skim milk, at 2 percent milk fat, and nonfat milk, with close to 0 percent milk fat, don't make your coffee taste rich and creamy when you simply pour them into the cup, they both produce a creamy texture when you turn them into foam -- the bubbles trick your palate into thinking that you are tasting fat. The protein molecules in skim milk and nonfat milk do a better job than fat molecules at trapping air, making skim milk foam airy and light. Although most nondairy "milk" products have far less fat than heavy cream, some, such as coconut milk and soy milk, with about the same amount of fat as 2 percent milk, still have a distinctly creamy texture that makes coffee taste rich. What's more, both milk products make a creamy foam that works just like the foam made from low-fat dairy milk to raise the richness in coffee. While the science for off-beat ways to make coffee richer is not settled, some ideas are worth trying. 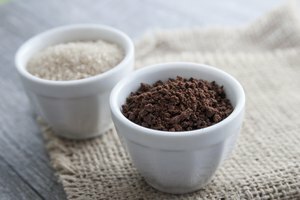 Add a pinch of salt to the coffee grounds before adding water; in a "Serious Eats" article, author Liz Clayton points out that salt smooths out the flavors of coffee. 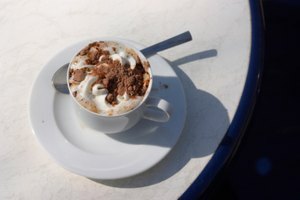 And, Alex Lathbridge, editor of the food website Science Fare, notes that for some people, coffee tastes richer and creamier when they add milk to the cup first, before the coffee. Serious Eats: Should You Put Salt in Your Coffee?